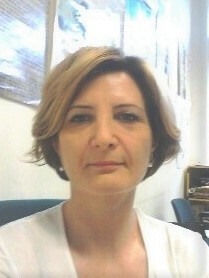 2002 PhD in "Molecular Diagnostics"
1.Giangaspero A., Traldi G., Paoletti B., Traversa D., Bianciardi P. 2002. Efficacy of pyrantel embonate, febantel and praziquantel against Giardia spp. in naturally infected adult dogs. The Veterinary Record, 150,184-186. 2.Giangaspero A., Alvineire M., Traversa D., Paoletti B., Lespine A., Otranto D., Boulard C., 2003. Efficacy of injectable and pour-on microdose ivermectin in the treatment of goat warble fly infestation by Przhevalskiana silenus (Diptera, Oestridae). Veterinary Parasitology, 116(4),333-43. 4.Capelli G, Paoletti B, Iorio R, Frangipane Di Regalbono A, Pietrobelli M, Bianciardi P, Giangaspero A. 2003. Prevalence of Giardia spp. in dogs and humans in northern and central Italy. Parasitology Research, 90 (3),154-5. 5.Traversa D., Giangaspero A., Iorio R., Otranto D., Paoletti B., Gasser RB. 2004. Semi-nested PCR for the specific detection of Habronema microstoma or Habronema muscae DNA in horse faeces. Parasitology, 129 (Pt 6), 733-739. 6.Traversa D., Giangaspero A., Galli P., Paoletti B., Otranto D., Gasser RB. 2004. Specific identification of Habronema microstoma and Habronema muscae (Spirurida, Habronematidae) by PCR using markers in ribosomal DNA. Molecular and Cellular Probes, 18 (4), 215-221. 7.Traversa D., Giangaspero A., Molini U., Iorio R., Paoletti B., Otranto D., Giansante C. 2004. Genotyping of Cryptosporidium isolates from Chamelea gallina clams in Italy. Applied and Environmental Microbiology, 70 (7), 4367-4370. 8.Giangaspero A., Paoletti B., Iorio R., Traversa D. 2005. Prevalence and molecular characterization of Giardia duodenalis from sheep in central Italy. Parasitology Research, 96 (1), 32-37. 10.Giangaspero A., Iorio R., Paoletti B., Traversa D., Capelli G. 2006. Molecular evidence for Cryptosporidium infection in dogs in Central Italy. Parasitology Research, 99(3), 297-299. 11.Traversa D., Iorio R., Capelli G., Paoletti B., Otranto D., Bartolini R., Giangaspero A. 2006. Molecular cross-sectional survey of gastric habronemosis in horses. Veterinary Parasitology, 141 (3-4), 285-290. 13.Papini R., Cardini G., Paoletti B., Giangaspero A. 2007. Detection of Giardia assemblage A in cats in Florence, Italy. Parasitology Research, 100 (3), 653-656. 14.Papini R., Paoletti B., Cardini G., Giangaspero A. 2007. Genetic identification of Giardia isolates from symptomatic and asymptomatic shelter dogs. Revue de Médecine Vétérinaire, 158 (3), 143-147. 15.Traversa D., Klei T.R., Iorio R., Paoletti B., Lia R.P., Otranto D., Sparagano O.A., Giangaspero A. 2007. Occurence of anthelmintic resistant equine cyathostome populations in central and southern Italy. Preventive Veterinary Medicine, 14, 82 (3-4), 314-320. 16. Traversa D., Paoletti B., Otranto D., Miller J. 2007. First report of multiple drug resistance in trichostrongyles affecting sheep under field conditions in Italy. Parasitology Research 102, 1107. 17. Traversa D., Otranto D., Iorio R., Carluccio A., Contri A., Paoletti B., Bartolini R., Giangaspero A. 2008. Identification of the intermediate hosts of Habronema microstoma and Habronema muscae under field conditions. Medical and Veterinary Entomology 22, 283-287. 18. Todisco G., Paoletti B., Giammarino A., Manera M., Sparagano O.A., Iorio R., Giannella B., Robbe D. 2008. Comparing therapeutic efficacy between ivermectin, selamectin, and moxidectin in canaries during natural infection with Dermanyssus gallinae. Annals of the New York Academy of Sciences 1149, 365-7. 19. Paoletti B., Iorio R., Capelli G., Sparagano O.A., Giangaspero A. 2008. Epidemiological scenario of giardiosis in dogs from central Italy. Annals of the New York Academy of Sciences 1149, 371-374. 20. Cernanská D., Paoletti B., Králová-Hromadová I., Iorio R., Cudeková P., Milillo P., Traversa D. 2009. Application of a Reverse Line Blot hybridisation assay for the species-specific identification of cyathostomins (Nematoda, Strongylida) from benzimidazole-treated horses in the Slovak Republic. Veterinary Parasitology 160, 171-174. 21. Iorio R., Slapeta J., Otranto D., Paoletti B., Giangaspero A., Traversa D. 2009. Phylogenetic relationships of Habronema microstoma and Habronema muscae (Spirurida: Habronematidae) within the order Spirurida inferred using mitochondrial cytochrome c oxidase subunit 1 (cox1) gene analysis. Parasitology Research 104, 979-984. 22. Paoletti B., Giangaspero A., Gatti A., Iorio R., Cembalo D., Milillo P., Traversa D. 2009. Immunoenzymatic analysis and genetic detection of Cryptosporidium parvum in lambs from Italy. Experimental Parasitology 122, 349-352. 23. Traversa D., Di Cesare A., Milillo P., Lohr B., Iorio R., Pampurini F., Schaper R., Paoletti B., Heine J. 2009. Efficacy and safety of imidacloprid 10%/moxidectin 1% spot-on formulation in the treatment of feline aelurostrongylosis. Parasitology Research 105, 55-62. 24. Traversa D., Aste G., Milillo P., Capelli G., Pampurini F., Tunesi C., Santori D., Paoletti B., Boari A. 2010. Autochthonous foci of canine and feline infections by Dirofilaria immitis and Dirofilaria repens in central Italy. Veterinary Parasitology 169, 128-132. 26.Traversa D., Aste G., Di Cesare A., Paoletti B., Di Tommaso M., Di Giulio E., Pampurini F., Tunesi C., Boari A. 2011. Efficacy of a single administration of a spot-on solution containing imidacloprid 10%/moxidectin 2.5% in eliminating Dirofilaria repens microfilariae in naturally infected dogs. Veterinary Parasitology, 179, 107-112. 27 Marruchella G, Paoletti B, Speranza R, Di Guardo G. 2012. Fatal bronchopneumonia in a Metastrongylus elongatus and Porcine circovirus type 2 co-infected pig. Research in veterinary Science, 93, 310-312. 28. Di Cesare A, Castagna G, Otranto D, Meloni S, Milillo P, Latrofa MS, Paoletti B, Bartolini R, Traversa D. 2012. Molecular detection of Capillaria aerophila, an agent of canine and feline pulmonary capillariosis. Journal of Clinical Microbiology, 50, 1958-1963. 29. Traversa D., Otranto D., Milillo P., Latrofa MS., Di Cesare A., Paoletti B. 2012. Giardia duodenalis sub-Assemblage of animal and human origin in horses. Infections, Genetic and Evolution, 12, 1642-16. 30. Pantchev N., Broglia A., Paoletti B., Vrhovec MG., Bertram A., Nockler K., cacciò SM. 2014. Occurrence and molecular typing of Giardia isolates in pet rabbits, chinchillas, guinea pigs and ferrets collected in Europe during 2006-2012. Veterinary Record, 175:18. 31. Di Cesare A., Iorio R., Crisi P., Paoletti B., Di Costanzo R., Dimitri C.F., Traversa D. 2014. Treatment of troglostrongylus brevior (Metastrongyloidea, Crenosomatidae) in mixed lungworm infections using spot-on emodepside. Journal of feline medine and Surgery. J Feline Med Surg.17(2):181-5. 32. Pipia A.P., Varcasia A., Tamponi C., Sanna G., Soda M., Paoletti B., Traversa D., Scala A. 2014. canine giardiosis in sardinia island, Italy: prevalence, molecular characterization, and risk factors. Journalof Infection in developing countries 8:665-60. 33. Di Cesare A., Iorio R., Crisi P., Paoletti B., Di Costanzo R., Dimitri C.F., Traversa D. 2015. Treatment of troglostrongylus brevior (metastrongyloidea, crenosomatidae) in mixed lungworm infections using spot-on emodepside. J Feline Med Surg.17(2):181-5. 34. Giangaspero A, Marangi M, Papini R, Paoletti B, Wijnveld M, Jongejan F. 2015. Theileria sp. OT3 and other tick-borne pathogens in sheep and ticks in Italy: molecular characterization and phylogeny. Ticks Tick Borne Dis. 6(1):75-83. 35. Paoletti B, Traversa D, Iorio R, De Berardinis A, Bartolini R, Salini R, Di Cesare A. 2015. Zoonotic parasites in feces and fur of stray and private dogs from Italy. Parasitol Res. 114(6):2135-41. 36. Traversa D, Lepri E, Veronesi F, Paoletti B, Simonato G, Diaferia M, Di Cesare A. 2015. Metastrongyloid infection by Aelurostrongylus abstrus, Troglostrongylus brevior and Angiostrongylus chabaudi in a domestic cat. Int J Parasitol. In press. 37. Paoletti B., Di Cesare A.,Iorio R., Tavaglione D., Bartolini R., Gatti A. 2015. Survey on intestinal helminth fauna of woodcocks (Scolopax rusticola) from Italy. Veterinaria Italiana. Forthcoming.